Last edited by B_Delsaert on Sat Jul 21, 2018 8:08 pm, edited 1 time in total. Last edited by jaspalchadha on Sat Jul 21, 2018 2:54 pm, edited 1 time in total. 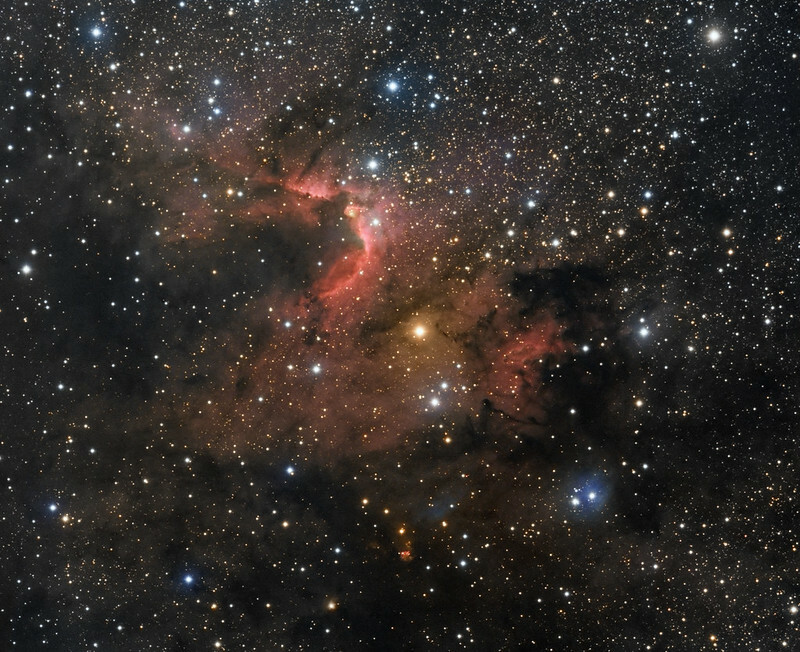 NGC 6820 is a small reflection nebula near the open cluster NGC 6823 in Vulpecula. 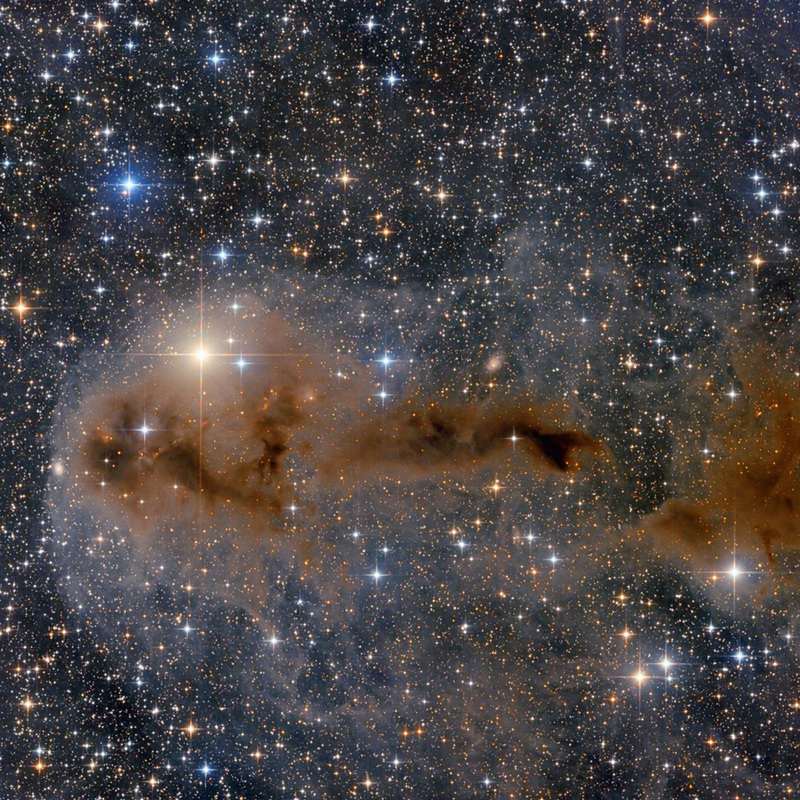 The reflection nebula and cluster are embedded in a large faint emission nebula called Sh 2-86. 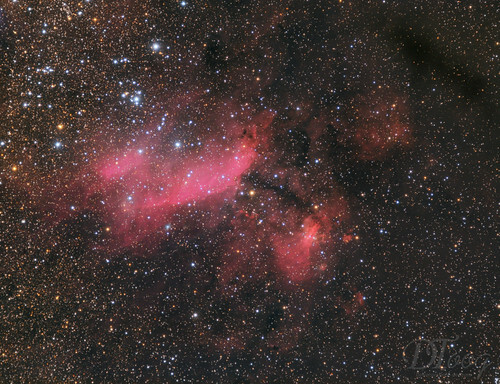 The whole area of nebulosity is often referred to as NGC 6820. 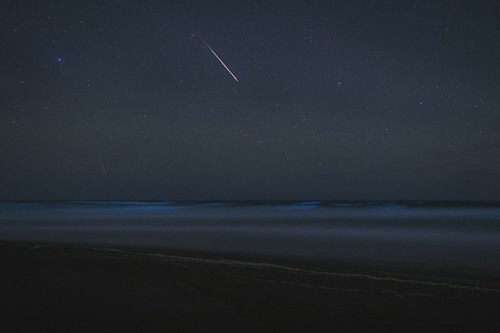 Seen close to midnight from North Beach at Point Reyes National Seashore, bioluminescent organisms make the surf emit a faint, barely visible blue light, while a bright meteor appears in the clear sky above the ocean. A massive variable star, 1650x greater than our sun. 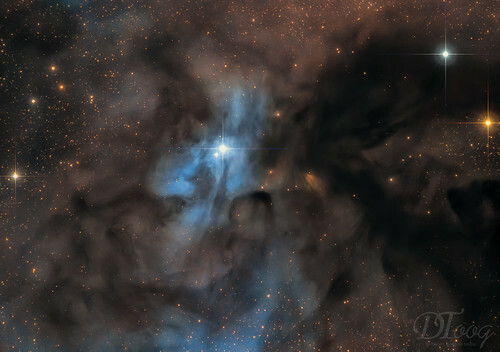 Here is my Rendition of NGC 6164 in Norma from Star Shadows Remote in CTiO, Chile taken in May and June of this year. A Beautiful emission nebula NGC 6164 was created by a rare, hot, luminous O-type star, some 40 times as massive as the Sun. 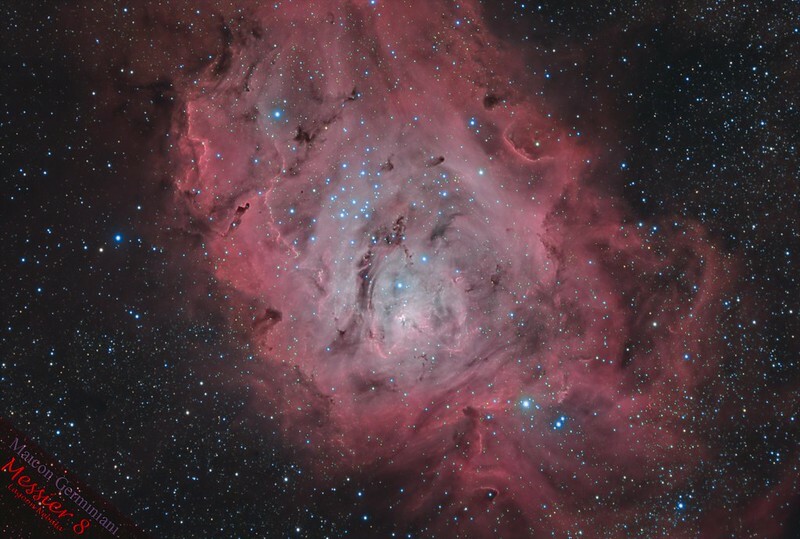 Seen at the center of the cosmic cloud, the star is a mere 3 to 4 million years old. 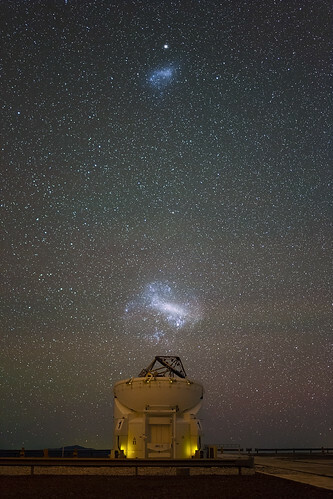 In another three to four million years the massive star will end its life in a supernova explosion. Spanning around 4 light-years, the nebula itself has a bipolar symmetry. That makes it similar in appearance to more common and familiar planetary nebulae - the gaseous shrouds surrounding dying sun-like stars. Also like many planetary nebulae, NGC 6164 has been found to have an extensive, faint halo, revealed in this deep telescopic image of the region. 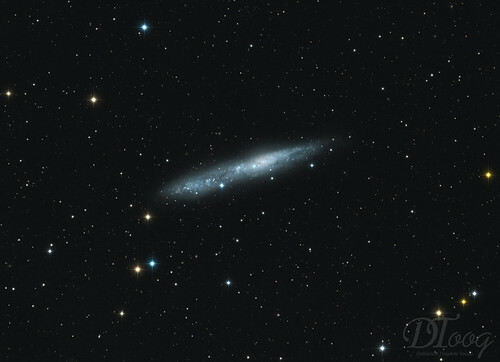 Expanding into the surrounding interstellar medium, the material in the halo is likely from an earlier active phase of the O star. 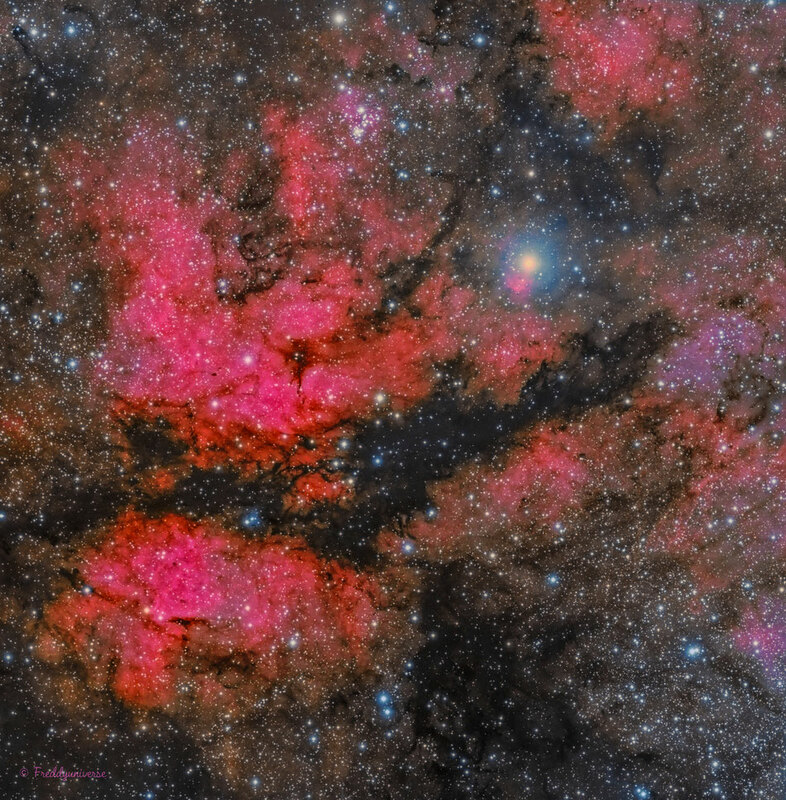 The gorgeous skyscape is a composite of extensive narrow-band image data, highlighting glowing atomic hydrogen gas in red and oxygen in blue hues, with broad-band data for the surrounding starfield. NGC 6164 is 4,200 light-years away in the right-angled southern constellation of Norma. The rough Ikarian landscape (Ikaria island - Greece) illuminated by the quarter Moon and the photographer, trying to 'touch' Polaris in this well planned shooting. 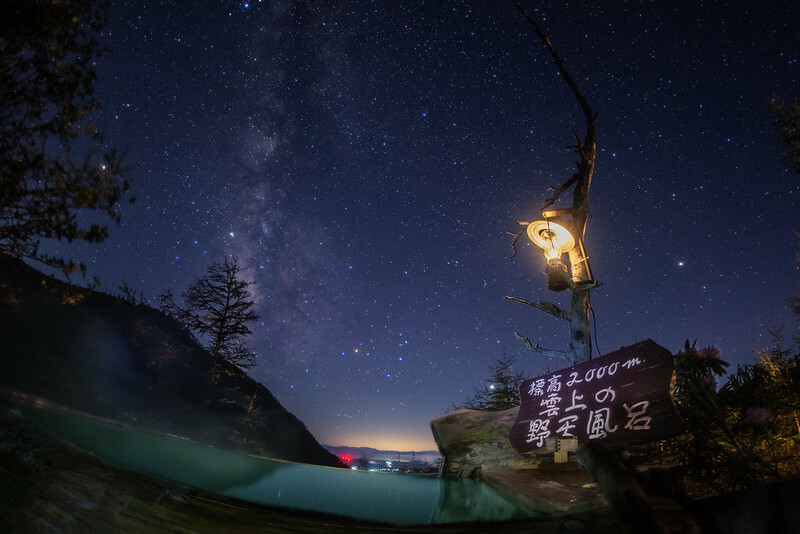 Sony A7S Samyang 35mm T1.5 @ f / 2 12800iso 8sx5 per panel. 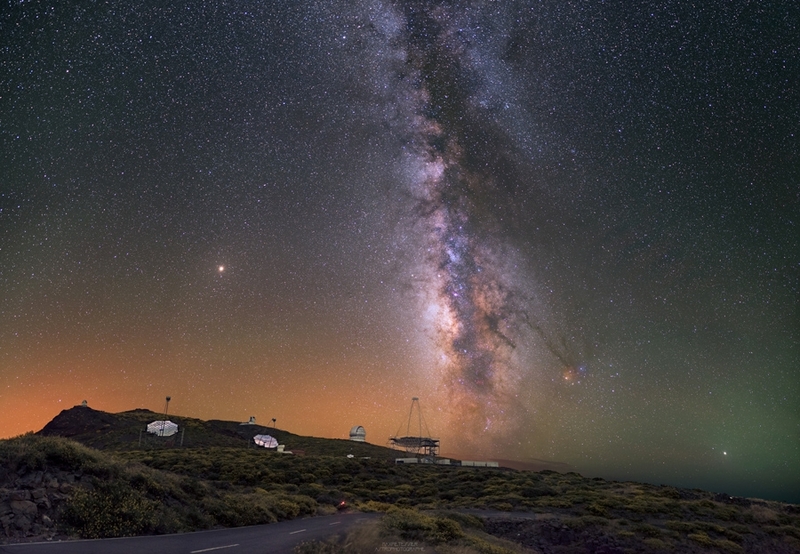 The Milky Way reflects in one of the MAGIC telescopes (Major Atmospheric Gamma-ray Imaging Cherenkov Telescope) and illuminates the GTC (10.40m telescope) in La Palma, Canary Islands. Last edited by bystander on Wed Jul 25, 2018 5:00 am, edited 1 time in total. The Milky Way and planet Mars from inside of a shallow cave in 'Seychelles Beach', Ikaria island, Greece.